Progressive Gaming International Corporation was incorporated in 1986. Formerly known as Mikohn Gaming, the company initially dealt with two segments – gaming operations and products. The gaming operations segment became popular for its slot machines ‘with a twist’. These machines were based on popular board games and required players to answer questions to improve their chances of winning at the slot machines. The other segment dealt with by Mikohn was gaming products such as interior and exterior casino signage, player tracking and electronic components used in progressive jackpot systems. Mikohn Gaming eventually changed its name to Progressive Gaming International and, in 2005, completed the sale of its signage division in order to focus more on technology-based products for the gaming industry. Progressive Gaming International Corporation develops and markets a plethora of products for the international gaming industry. Its field of products ranges widely – from branded slot machines and table games to mystery systems for slot and table game operations. Progressive Gaming has its headquarters in Nevada, US but boasts offices in England, Holland, Australia and the Netherlands. The company employs over 300 full time staff-members around the globe. The company has developed a worldwide name for itself and its products can be found at virtually every licensed gambling casino on earth. Progressive Gaming International develops, acquires and produces table and slot games – both branded and non-branded versions. Gamblers will recognize many of the company’s table games when they visit casinos, including Texas Hold’em Bonus Poker, Two-card Joker Poker, Caribbean Stud and Progressive Blackjack. Licensed branded slot games include Ripley’s Believe it or Not, Trivial Pursuit, Garfield and KISS, while non-branded versions include Flip It, Office Daze and Liberty Ball. Progressive Gaming International takes great pride in its series of table games, many of which have won awards for their creativity and fun elements. The company is continuously improving on older, traditional games and introducing exciting new ones to thrill their gambling public. Progressive Gaming International’s Caribbean Stud Poker is more reminiscent of blackjack than poker. Gamblers play against the dealer and not each other, as in traditional poker. Caribbean Stud Poker was the first game in the company’s successful table game series and is immensely popular among gamblers at casinos across the States and around the world. With its unique rules and features, Caribbean Stud Poker is fast-paced, thrilling and lots of fun. Considered by many to be one of the company’s greatest traditional felt games, Two Card Joker Poker combines the thrill and challenge of poker with the fun and simplicity of creating a two-card poker hand. The game also features side wagers to keep gamblers perpetually entertained. Two Card Joker Poker is played with a traditional 52 pack of cards, with two jokers added in for extra fun and thrills. Gamblers can make up several wagers in their game, including pair up wagers, ante wagers, super flush bonus wagers or all wagers. With so much variety available through a relatively simple game, it is no wonder that Two Card Joker Poker remains a firm favorite at casinos. By combining the world’s number one card sporting event with one of the most popular table games around, Progressive Gambling International brings gamblers its latest game, World Series of Poker-Texas Hold’em Bonus. This game plays ‘heads-up’ against the dealer, with all wagers being made by the players before they are able to receive or view cards. This exciting table game also features a bonus jackpot side bet which allows players to compare their hole cards to a posted paytable. 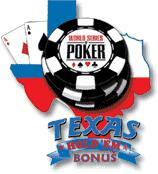 Players can also look out for the traditional Texas Hold’em Bonus Poker, without the WSOP branding. Even though we don’t usually associate slots with skill, Progressive Gaming International has managed to add some extra fun into its vast range of slot machines and video slots. By adding the skill element, the company offers players a chance to test their knowledge, without relying on pure luck at the slot machines. Progressive Gaming International combines the nostalgia of yesteryear television with the latest technology to bring you its awesome video slots game, Wink’s Survey of America. Based on a hit survey show that was hosted by Wink Martindale, this slots game has an appealing quality that is sure to have gamblers racing to try it out at the casinos. Players are asked to guess replies from a survey of 100 people and are awarded bonuses, based on how they close they got to the answers. The game features excellent animation and sound, exciting interactive play and an interesting theme to bring players top class entertainment. Fans of this awesome rock group will be thrilled to play this multi-reel, multi-line video slot machine that uses the 20-line Matrix platform. Blasting out their hit, “Rock and Roll all Nite!”, KISS stars invite gamblers to try their luck at this exciting game which features two bonus rounds – Free Spin Bonus and the Alive Concert Bonus. Three or more platinum albums will trigger the Free Spin Bonus that awards players up to twenty free spins. Three or more band members trigger the Alive Concert Bonus. Progressive Gaming International’s creative team only had the word ‘fun’ in mind when they produced this incredible video slots game. 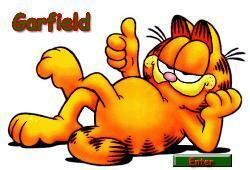 Taking the super-famous comic strip character, Garfield, the company produced a fun, humorous and highly entertaining game based on the life of the world’s laziest cat. Garfield and his friends Jon, Odie and Arlene will keep you thrilled with first class interactive features and exciting bonuses. The base game features include Garfield going on an eating binge of reel symbols. Watch Garfield sneak his way to the refrigerator in the “Mission: Refrigerator” Bonus or toss a pie at your chosen victim in the “Target Practice” Bonus. If you manage to complete either bonus, you get to try your luck at the “Slice of Life” bonus. Players will never be bored playing this hilarious video slot game. Progressive Gaming International seems to have left its mark in virtually every aspect of the casino gaming industry. Besides the awesome selection of games that this company produces (of which you were presented with a tiny sampling in the section above), the company is active in many other segments of the industry. Casinos, gaming suppliers and lottery operators know that their needs can most probably be met by Progressive Gaming International. From a wide selection of games to a suite of software products that allows casinos to track wagers placed at tables, there is nothing, it seems, that this company doesn’t deal in. The company also holds exclusive rights to a number of extremely popular systems, including the XpertX Keno System (except in the state of Nevada) and limited distribution rights for the TableMAX video table. With all this in mind, it is only natural to assume that Progressive Gaming International will continue to develop within one of the fastest-growing industries in the world and gamblers will get to enjoy its fantastic products for years to come.